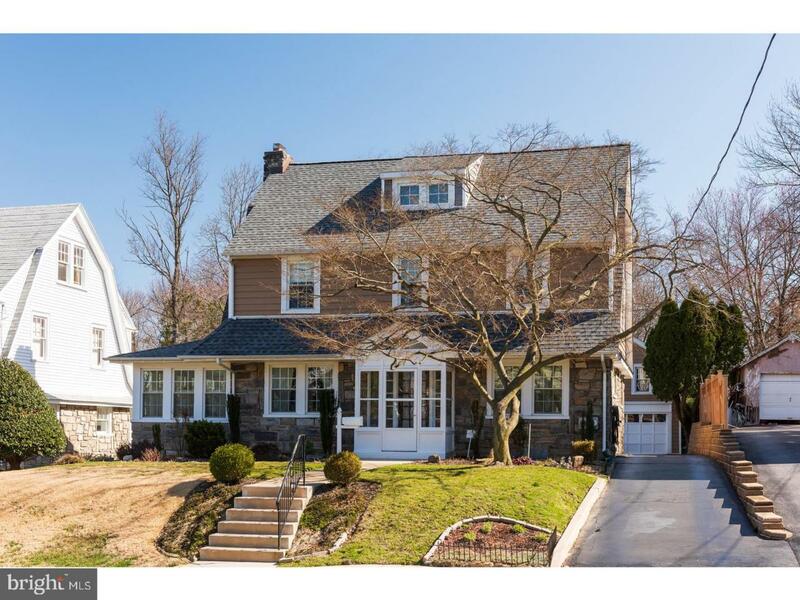 "WOW" will be the first remarks after entering this classic Drexel Hill beauty! All the charm, space, and modern updates abound in this home. 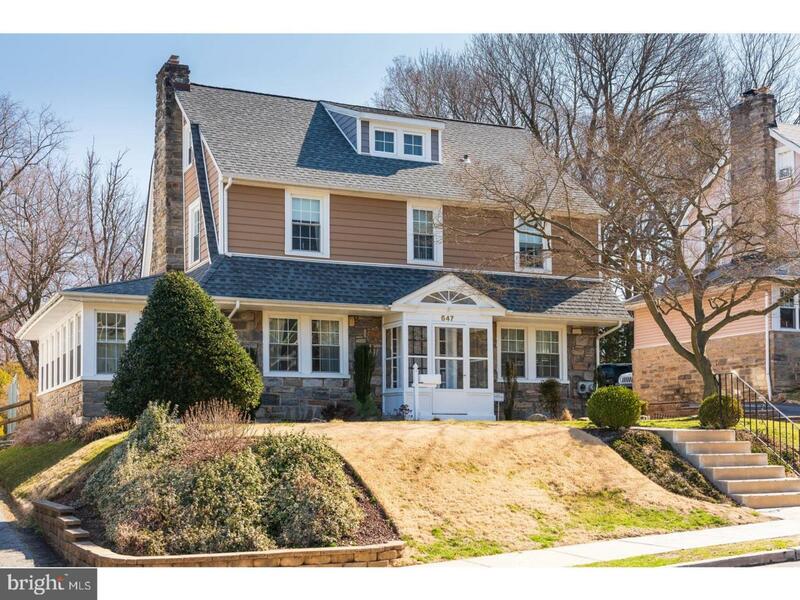 5 bedrooms, 3 full baths and finished basement with half bath. 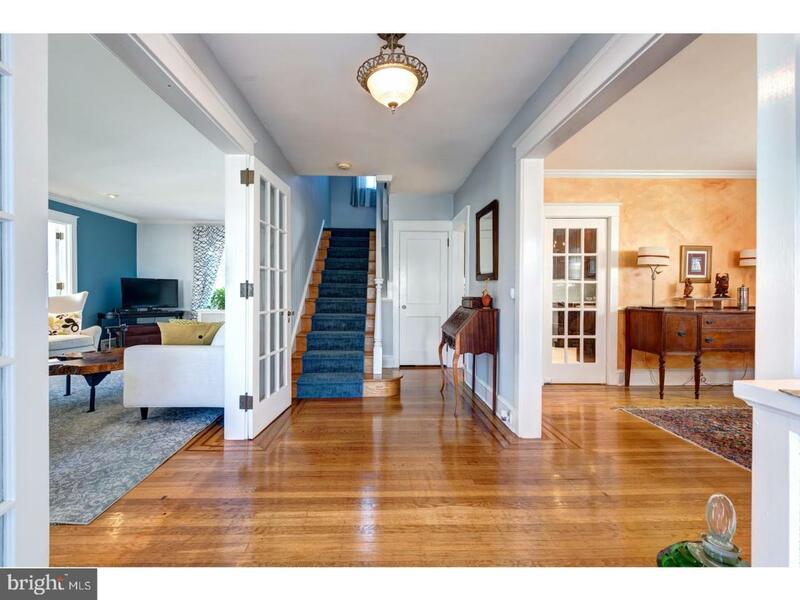 Gleaming hardwood floors with inlays, all new windows. Fireside living room with gas insert and beautiful stone mantle. Crown molding, recessed lighting and all brass hardware. French doors to bright heated sun porch w/ ceiling fan & wide window sills. Formal dining room w/ chair rail and crown molding. Beautiful NEW kitchen w/granite counters, deep SS sink, tile back splash,gourmet BOSCH gas cooktop and built-in SS microwave. Built-in BOSCH oven, wood cabinet concealed Dishwasher and SS French door refrigerator. Soft close drawers, pull out spice rack cabinet. Flow into a bright sunlit breakfast room overlooking the very private backyard. 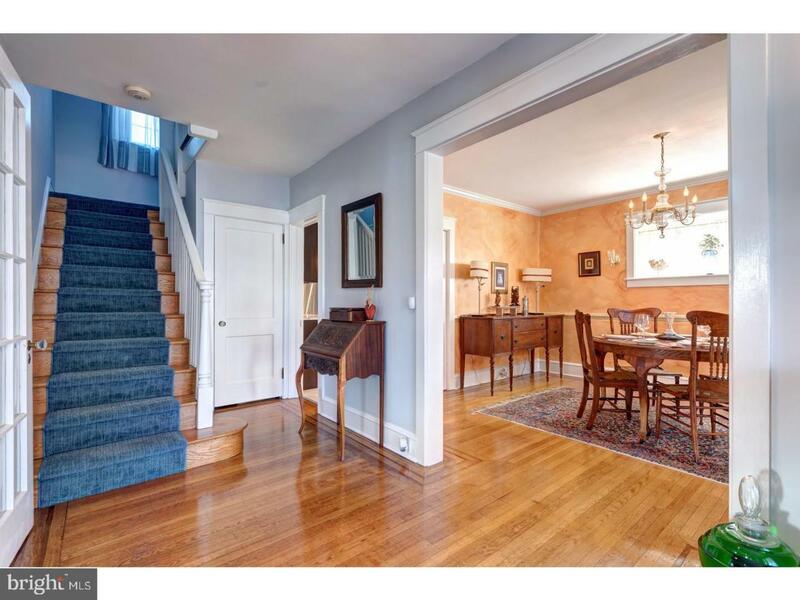 This room has charming original built-ins and large pantry closet. 2nd level has large master bedroom suite complete with master bath, 2 walk in closets, and a sitting room/office. 2 more additional bedrooms and hall bath. 3rd level has 2 additional bedrooms and a 3rd full bath. Finished basement family room w/engineer floating hardwood floors, storage closets and separate laundry and mechanics. SS washer and dryer included. New gas heater, new HW heater, new French drain and sump pump. Beautiful deep, fully fenced in backyard. Private driveway with detached 2 car garage with 2nd level storage. New exterior vinyl siding. NOTHING TO DO BUT MOVE IN!